Have you ever had a craving for a hard-boiled egg, only to be disappointed with the one you prepared? You’d think making a hard-boiled egg would be simple, but it’s more like an exact science. You can’t just boil some water, drop an egg in and get a perfectly cooked egg, after all. Timing is everything when you’re making a hard-cooked egg. The Sauder’s Team has been hard boiling eggs for over 30 years for the market place. We believe based on our all-natural cooking process our hard-boiled eggs taste the same as ones made at home. Customers have come to love our innovating flavors such as Buffalo & Red Beet. Our deviled eggs are hand made with a recipe that dates back over 3 generations! Once you try one of our hard-boiled eggs chances are you will not go back to anything else! Even if you’re an expert at making hard-cooked eggs, there may be situations when you simply lack the time or energy to prepare them. 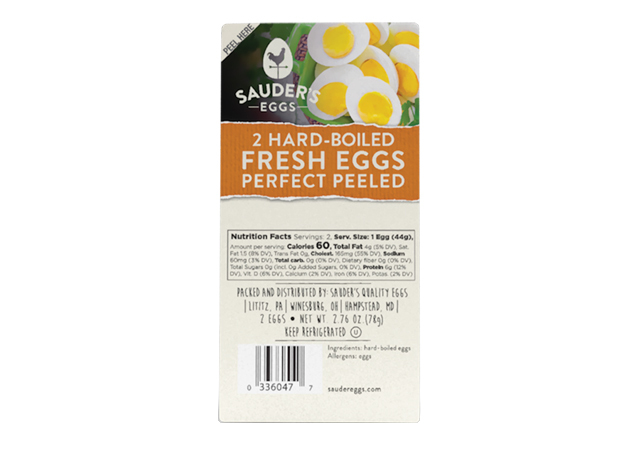 Luckily, you can purchase Sauder’s hard-cooked eggs, so you’ll always have perfectly prepared hard-cooked eggs on hand. Even after you open the pouch, Sauder’s hard-boiled eggs will last up to seven days in your refrigerator. 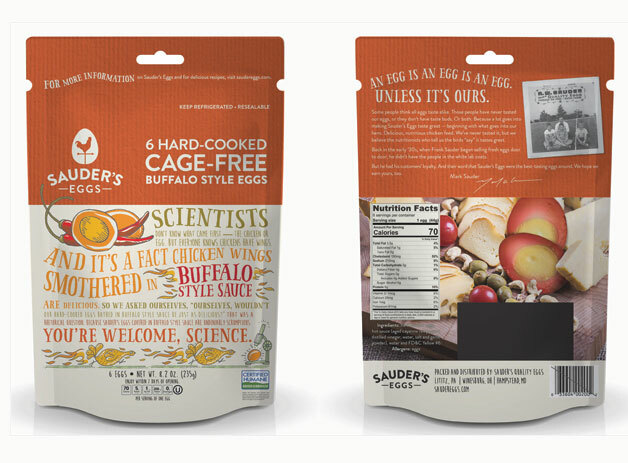 Sauder sells several kinds of hard-cooked eggs, including Sauder’s Hard-Cooked Eggs in a Pouch, sold at various retail outlets like Weis, Giant, Stop & Shop and Safeway. Our egg pouches contain whole grade A eggs that are cooked, peeled and ready to be consumed alone, or as part of a salad or side dish. 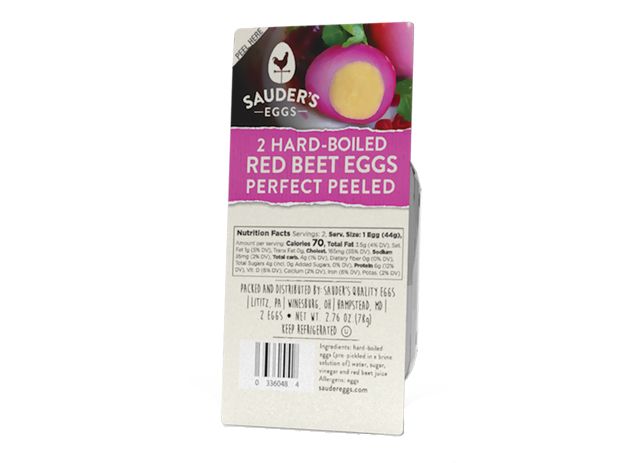 We sell two varieties of Sauder’s Hard-Cooked Eggs in a Pouch: plain and red beet flavor. The plain pouches contain ten versatile eggs, while the red beet-flavored pouches contain six delicious eggs. 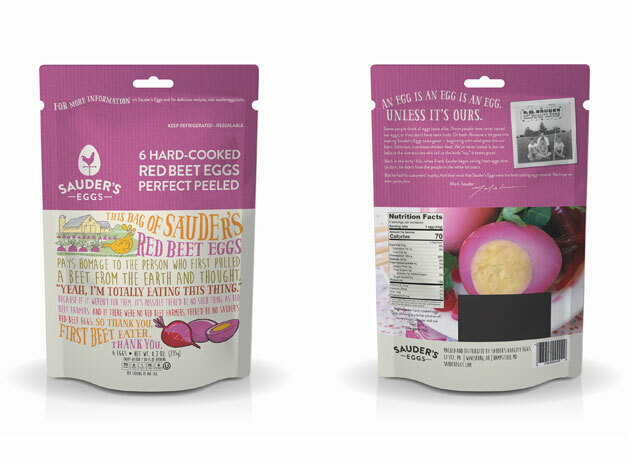 Red Beet: Sauder’s Red Beet Eggs boast a flavor that’s a long-standing favorite throughout Pennsylvania Dutch country. 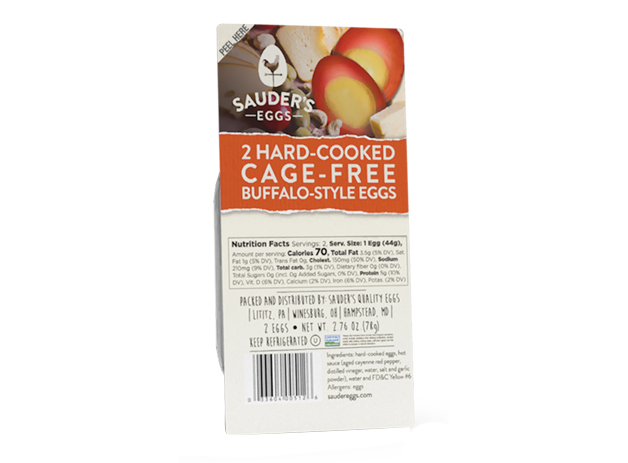 Buffalo Hot: Sauder’s Buffalo Hot Eggs bring the taste of pickled eggs together with hot sauce. Zingy and zesty, these hard-boiled eggs are a great way to liven up a snack break or salad. You can find these eggs in various retail locations, including grocery stores, markets and gas stations. 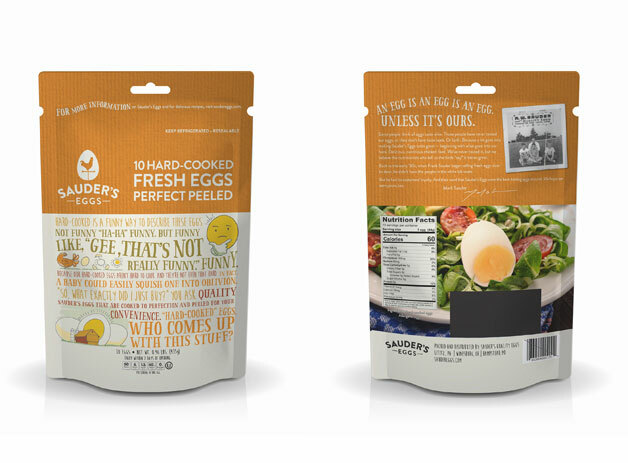 Are you ready to enjoy the taste of Sauder’s flavored hard-cooked eggs and the convenience of having a pouch of our hard-boiled eggs in your refrigerator? If so, we encourage you to use our store locator to find a retailer near you that sells our products now.